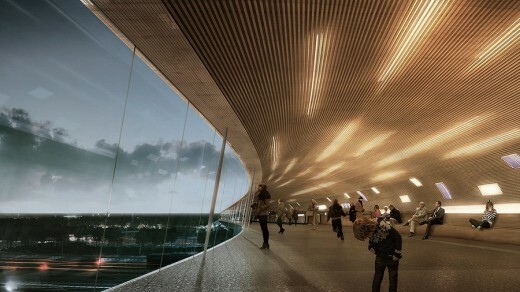 Today, the Køge North Station international competition results have been announced. The winners are COBE, DISSING+WEITLING and COWI. 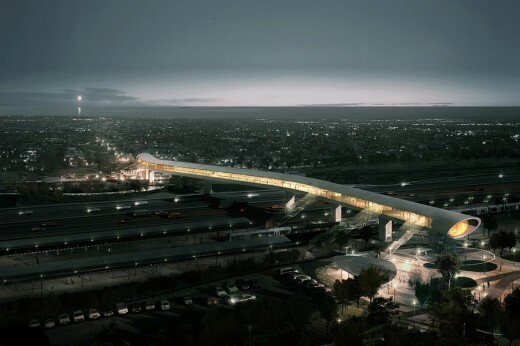 Køge North Station will be a traffic centre and hot-spot for the entire Copenhagen area in a unique junction where high-speed trains, local trains and freeways meet. The project consists of a 225 meter long pedestrian bridge, a station, an associated park and ride facility and a vision model for the incorporation of these elements into the landscape. Køge North Station is expected to be completed in 2018. Earlier in 2014, Køge Municipality, Banedanmark and DSB Properties invited four international teams to the competition for Køge North Station. The competition is now over and the winning entrants are COBE, DISSING+WEITLING and COWI. 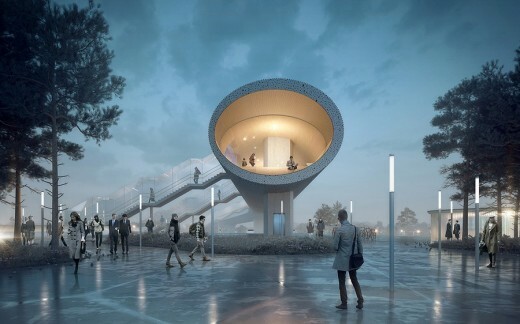 “We have designed a symbol of the development that the City of Køge is currently undergoing – a development characterised by innovation, pioneering spirit and audacity. 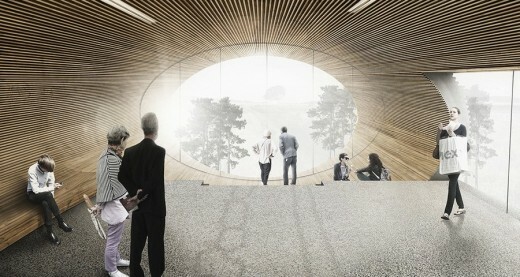 This development will be reflected and materialised in the bridge and the surrounding park and ride facility that besides being the traffic junction of the region, also will be a distinctive landmark for the area and a symbol of Denmark’s strive towards a sustainable future,” says Dan Stubbergaard, Founder and Creative Director at COBE. 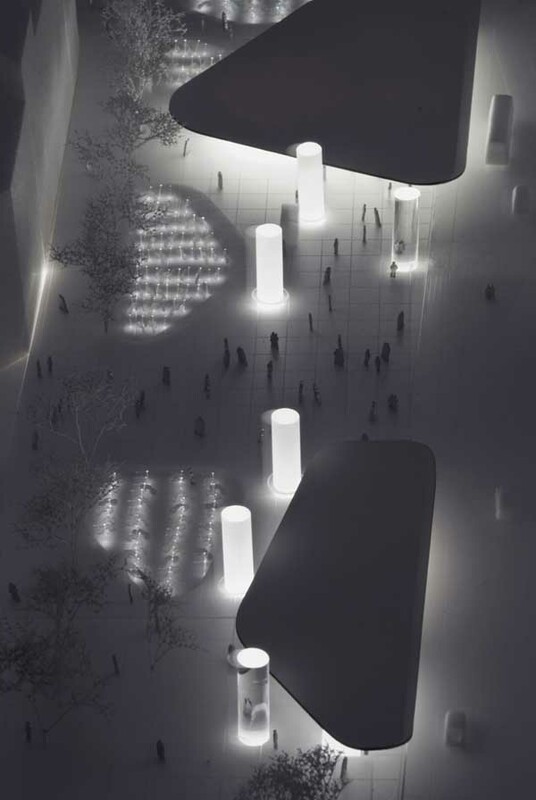 The winning design is a 225 meter long pedestrian bridge stretching across the traffic lanes, connecting east and west. The south side of the façade is closed, functioning as a solar screen, while the north side is left open providing a stunning 180 degrees panoramic view over the cultural landscape and lively traffic. The view can be enjoyed either standing, walking or by comfortably sitting on the built-in furniture along the south-facing wall. 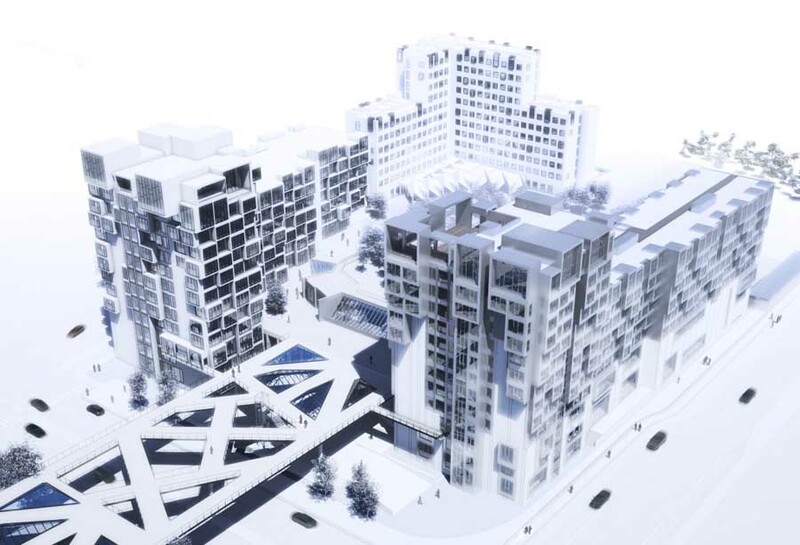 Around the bridge and the station, forecourts and paths are formed in accordance with the flow of people. The distances will be minimised and the courts will be well-arranged, creating a natural flow of walking lines. 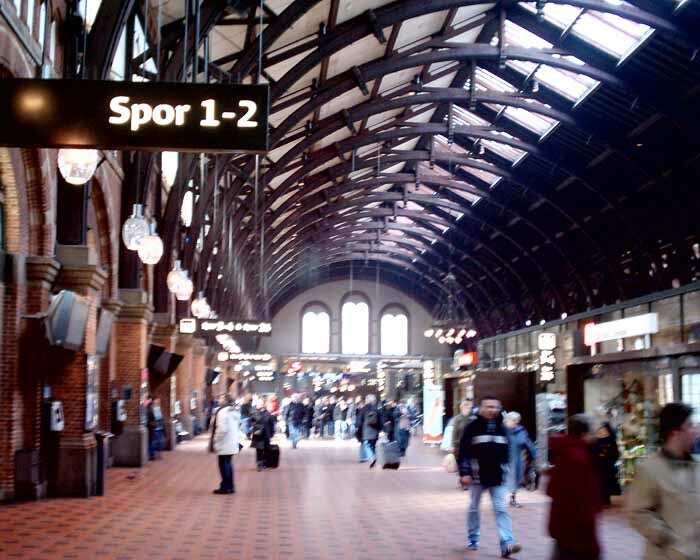 “Køge North Station is a very unique project, both in terms of architecture and engineering. 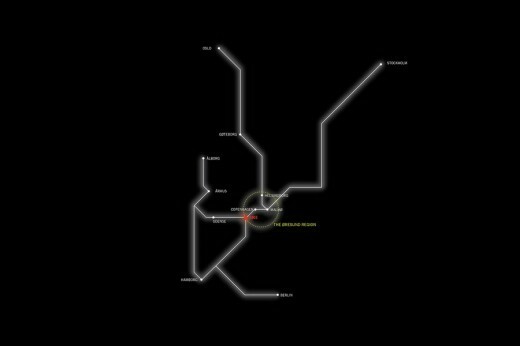 The station will be part of many people’s everyday life. In our work we have focused on the flow across the freeway. The difference between the open side in the north and the closed side in the south, gives room for both vista and intimacy, movement and repose, and contributes to the experience, atmosphere and joy of traveling,” says Steen Savery Trojaborg, Partner and CEO at DISSING+WEITLING. 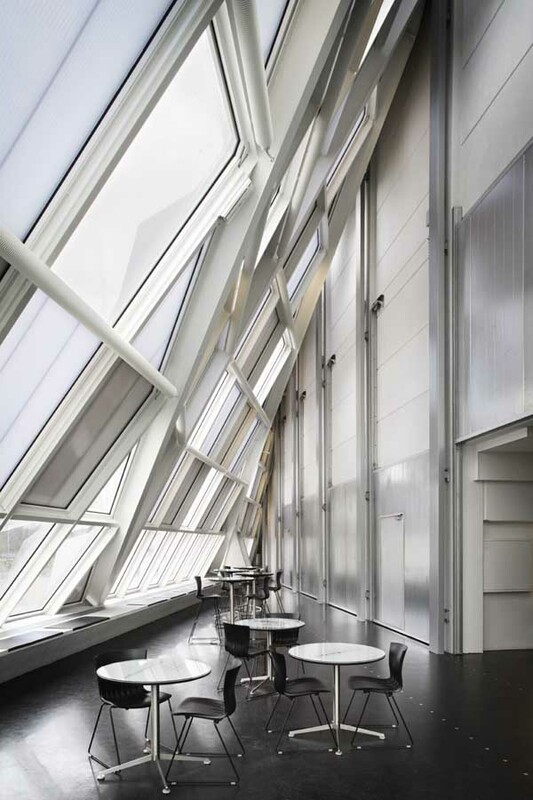 The interior of the pedestrian bridge consists of warm and inviting materials. Padded with wooden lamellae, the inside of the pedestrian bridge becomes a warm and welcoming area, giving commuters a tactile experience in an otherwise streamlined weekday. From the outside the pedestrian bridge is covered with perforated electroplated sinus steel plates, adding depth to the expression of the façade while also matching the materials from the surrounding infrastructural system. ”The pedestrian bridge is an elegant, simple and 225 meter long steel construction with a light superstructure. It spans the freeway with a simple grip and is developed with great consideration to creating the best possible traffic flow for the freeway, local trains and high-speed trains. The bridge is to be constructed over a relatively short time period during the winter of 2016/2017. Therefore we have chosen a construction of prefabricated steel units that can be transported directly to the construction site. This is a construction type that we have very successful experiences with,” says Jens Sandager Jensen, Vice President, Bridges Scandinavia at COWI. The international competition was held in the summer of 2014 and settled in November 2014. 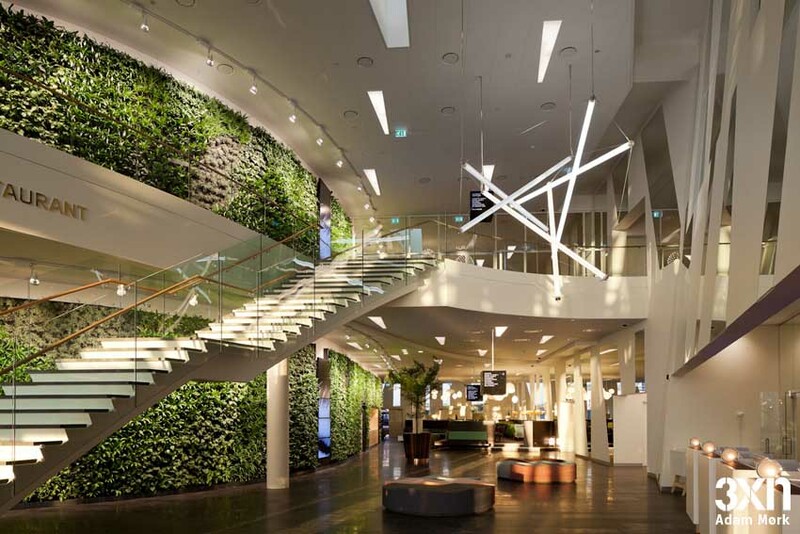 Besides the winning team, three other teams participated including Kengo Kuma & Associates (JP), Gottlieb Paludan Architects (DK) and Arep Ville (F). The project is expected to be completed at the end of 2018.